Manage your entire products suite (casino, sportsbook, lottery) using single account, single wallet platform. 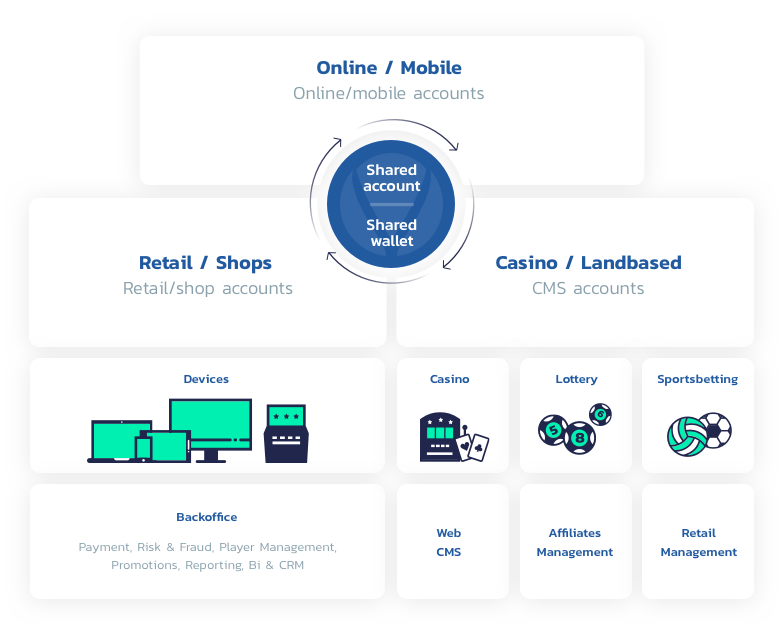 An omni-channel and cross-product platform that enables you to manage your entire product suite using one shared account and one wallet for casino, lottery, sportsbook, bingo, poker and other operations. Maximize cross-sale opportunities and increase player value, by using the fully-integrated set of tools and solutions to manage users, transactions, campaigns, reporting and analytics and more. Full payment solution integrated with large number of payment solution providers covering local and global markets. Includes player risk profile level and advanced rule engine for customisation. All the necessary tools to build a loyal customer base with satisfied and happy customers, while providing custom offers and running campaigns for customer acquisition, retention and up-selling. Through a single account across all products and channels operators get a complete overview and history of customer activities, transactions, balance, personal data. This enables a personalised approach in communication with players and tailor-made offers. Connected linked with the platform, enables quick access to customer data, to provide unrivalled customer support, and even up-selling and cross selling opportunities. Bonus and wagering management: Automatically triggered bonuses for deposits and signup promotions, manual bonuses given to players by customer support, bonus code and many other flexible bonus configurations. VIP levels for different game limits, transaction limits, bonuses, levels of service and predefined deposit amounts. Create automated or bespoke campaigns to maximize cross-selling opportunities to increase player value. Sophisticated BI tool - create insightful dashboards and reports on customer behaviour, financial transactions, gaming income, bets, detailed statistics of game-play, all with flexible filtering and grouping options, as well as Campaigns performance reporting. Launch your operation in record time, using our proven CMS, which is tightly integrated with our platform, gaming oriented and has a customizable template. Work together with us to create a tailor made web-site and web CMS for your operation. 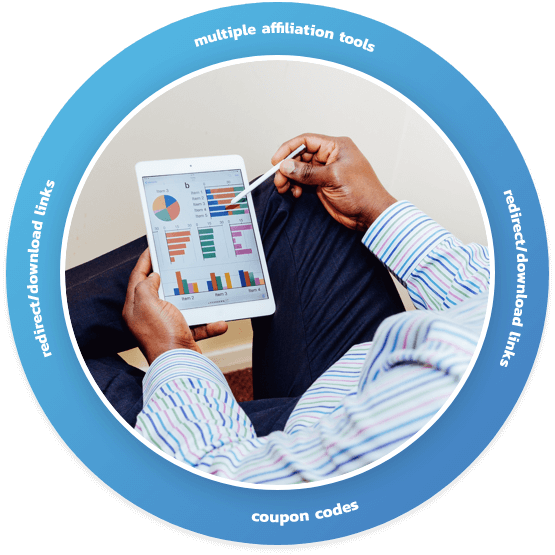 Build a highly productive relationship with your Affiliates with the help of multiple affiliation service with redirect or download links, direct marketing CDs, coupon codes, as well as real-time earning and payments reporting. Platform enables player management to retail operations - Fully fledge retail solution seamlessly connected with online operation, supporting both account based and anonymous play.